West Virginia has paid for so many burials for poor people who died from drug overdoses that funds ran out five months before the end of the fiscal year, according to a funeral directors group. Over 33,000 died from opioid addiction in 2015. The state’s health department set aside about $2 million annually for burial costs for poor people. Funeral homes are offered $1,250 to cover individual burial expenses when the deceased has neither the funds nor anyone able to cover the costs. The number of drug overdose deaths also strained the state medical examiner’s office, which often takes up to three weeks to complete autopsies, Kitchen said. Unattended deaths of people aged 50 and younger usually call for an autopsy. “It puts a lot of hardship on families after getting the worst news of their lives,” said Kitchen. 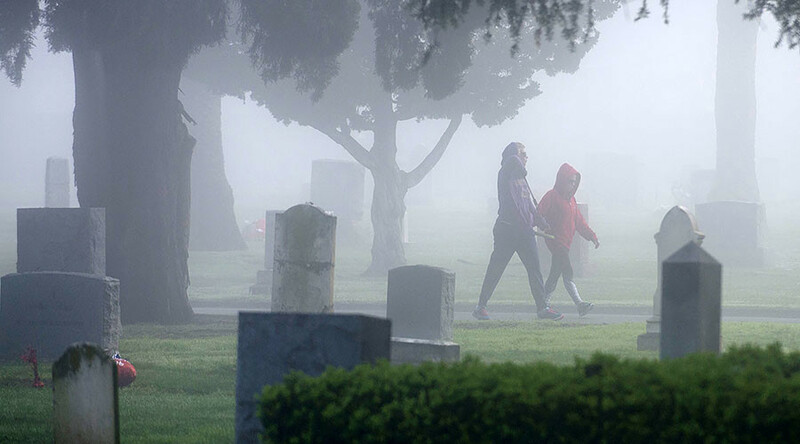 In the current fiscal year, which ends June 30, “1,508 burials have been submitted for payment,” with “funds remaining for 63 additional burials,” the state’s health department spokesperson, Allison Adler, said. The program has been around for decades, but only began running out of money in 2013, Adler said. In 2014, it ran out of money in June, and in 2015, the fund was depleted by March. Overdoses constitute more than three out of every 100 fatalities in the state, and eight percent among white men aged 35 to 64, and over 28 percent of deaths among white males aged 15 to 34. The state’s funeral directors see how drug overdose deaths affect families in many ways. “The biggest and hardest thing is dealing with those left behind. A drug overdose death is almost like a suicide… and there is no way to alleviate the grief,” Eric Fithyan, funeral director and planner for James and Chambers funeral homes, told The Intelligencer. Parents and grandparents will spend a fortune on a child who is fighting an addiction, and addicts often target their own family members for money to support their addictions, Fithyan said. “Then they [parents and grandparents] can’t have the funeral they want because they spent all their finances on the child or grandchild. In some cases they are taking care of the addict’s children who have become wards of the state… It’s almost a form of elder abuse,” he added. Economic despair, widespread unemployment, inadequate mental health facilities, and a sense of isolation in communities scattered through West Virginia are all contributors to the widespread abuse of OxyContin, oxycodone, and other powerful prescription painkillers, experts say. The state has the highest rate of deaths from drug overdoses of any state. Between 2011 and 2013, West Virginia had a rate of 33.5 drug overdoses per 100,000 people, compared to a national average of 13.4 deaths, according to a report by the Trust for America’s Health and the Robert Wood Johnson Foundation. The Mountain State was also the target of unscrupulous drug manufacturers and out-of-state wholesalers, who bombarded the area with huge supplies of the highly addictive drugs, the Charleston Gazette Mail found in December 2016. That led to physicians freely prescribing the drugs at the behest of patients, and created an underground market of illicit drug sales. In one instance, the tiny coal field town of Kermit, with a population of 392, received shipments of nearly nine million hydrocodone pills to a single pharmacy over a two-year period. Mingo County, where Kermit is located, had the fourth-highest prescription opioid death rate of any county in the United States.